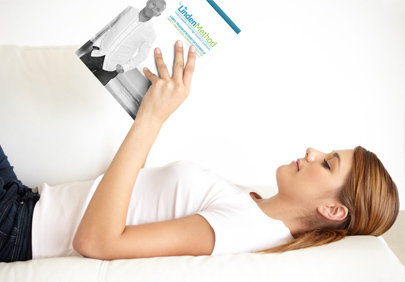 The Linden Method has been used by over 180,000 people over 19 years that has been independently tested by Martin Jensen at the University of Copenhagen where he found it to be the most effective anxiety programme available. Martin completed his BSc in Clinical Psychology at Kingston University and is currently working on completion of his two doctorates at the University of Copenhagen. Martin had previously requested the opportunity to carry out a completely independent trial to assess the success of The Linden Method program, which he has now done. The trial concluded that the average improvement experienced was from 18.28 (severe) to 2.84 (normal) using the international GAD-7 anxiety score. According to these results, The Linden Method was shown to be 100% effective at reducing anxiety and just under 100% effective at returning sufferers to normal anxiety levels. The Linden Method is a simple process that slips, almost unnoticed, into your life. The process communicates with your subconscious mind – the area that specifically controls fear – and turns your fear levels back down to ‘normal’… naturally and permanently. The science that underpins the Method is simple biology – simple, confirmed science that addresses the neurology that causes anxiety disorders in humans. Removing the neurology that perpetuates hightened levels of the emotion of fear in anxiety disorder sufferers will remove all anxiety disorders. The Linden Method shows you how to convince your mind that you are ‘safe’. You ARE safe, but your subconscious mind doesn’t know that yet… it THINKS it should be ‘anxious’. This isn’t because you are mentally ill or have something ‘wrong’ with you, it’s because YOUR brain, unlike almost 85% of other humans, has an extra ‘asset’… it has the ability to ‘over-think’. …well, there’s a reason why you suffer and others don’t… it’s because you have an added level of ‘special intellect’ and it is THAT is the only reason you suffer from an anxiety disorder. OK, it’s more sophisticated than that; the brain is a complex biological computer, but in essence, you were born with the ability to create ‘flights of fancy’, ‘daydreams’, ‘scenarios’ in your head… you know this is true because you have lived it your whole life… you’re an ‘over thinker’. Not everyone has this ability, which is a good thing but when IT uses YOU, it can turn sour, causing anxiety disorders, low mood, panic, obsessions and a raft of symptoms and thoughts you can;t control. And, it doesn’t matter whether you experience GAD, panic attacks, agoraphobia, OCD, Pure O, derealization, depersonalization or a mixture of all these… the cause and solution are the same in every human. This isn’t new science or a ‘treatment option’… we have been helping people with anxiety disorders for 17 years and our team are qualified health professionals, who bring about true recovery for our clients whether they come through doctor and psychologist referrals or directly through our websites, practice a process that creates physical change and total recovery. Kids of 7 do it with ease… it’s simple, not threatening, drug free and so liberating. The programs include free access to our guidance specialists… all of whom are qualified professionals and Anxiety Recovery Experts. There is only one solution to high anxiety conditions and that is your mind’s ability to switch the emotion off and The Linden Method teaches you just that. In fact, it’s the only program to teach it and for over 17 years we have shown time and time again that the science always wins over. People can be anxiety free naturally, but we show you how to feed the mind information in the correct way to ‘make it happen’. It’s so simple. This is why we have a 17 year long reputation for the high quality programmes and support we provide.